Images by Joanna Brown Photography. 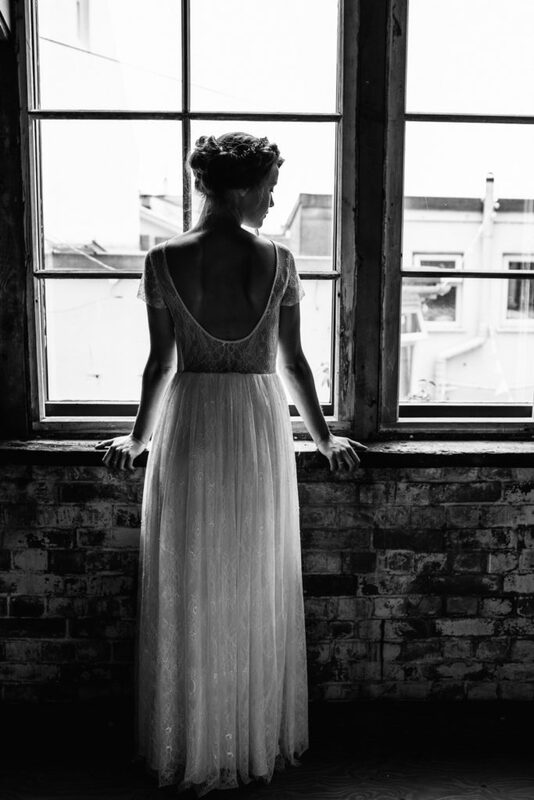 Sienna Von Hildemar bridalwear gowns are designed for the modern romantic. 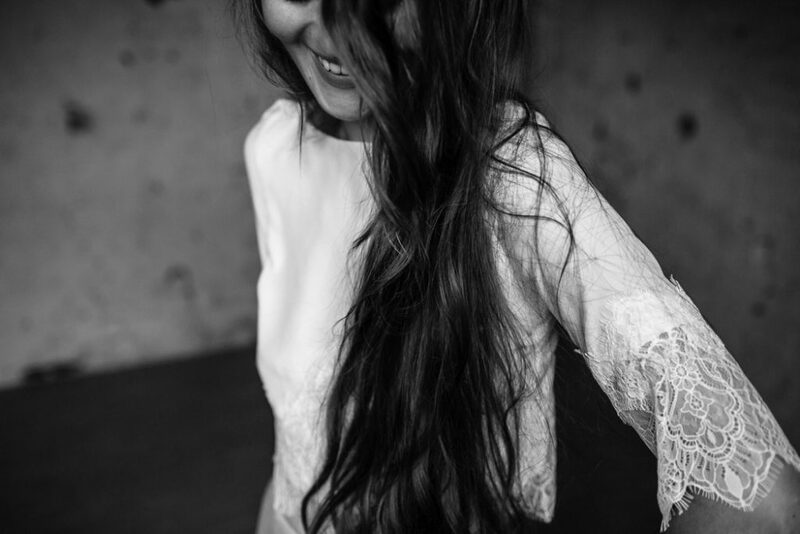 Made in the softest, luxurious silk fabrics, the dresses are hand finished with simple but intricate details. Sienna’s signature style is simple, elegant cuts finished with hand-beaded designs and lace appliques that give each dress their unique brand style. The 2018 collection you’re about to see is inspired by elegance in comfort and combines fluid silks with delicate details. 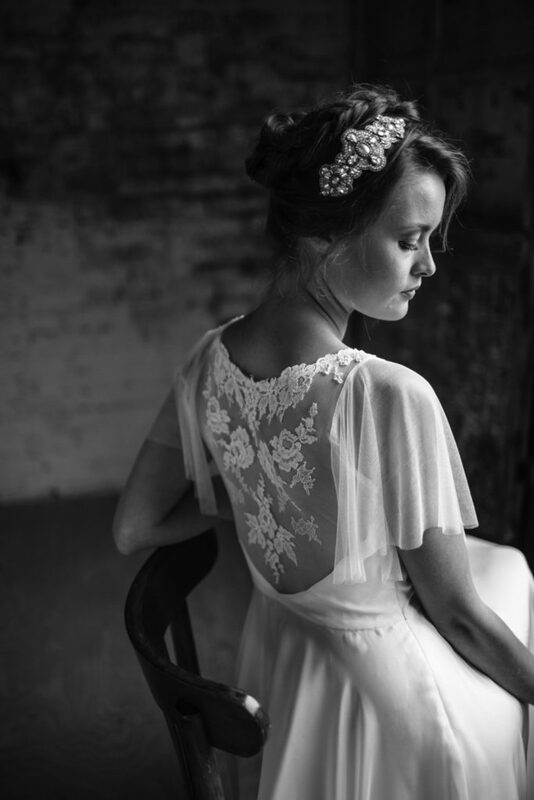 Here’s the lady behind the gowns to provide a little more information about her passion, her services and there’s even a lovely 10% off offer for our readers. 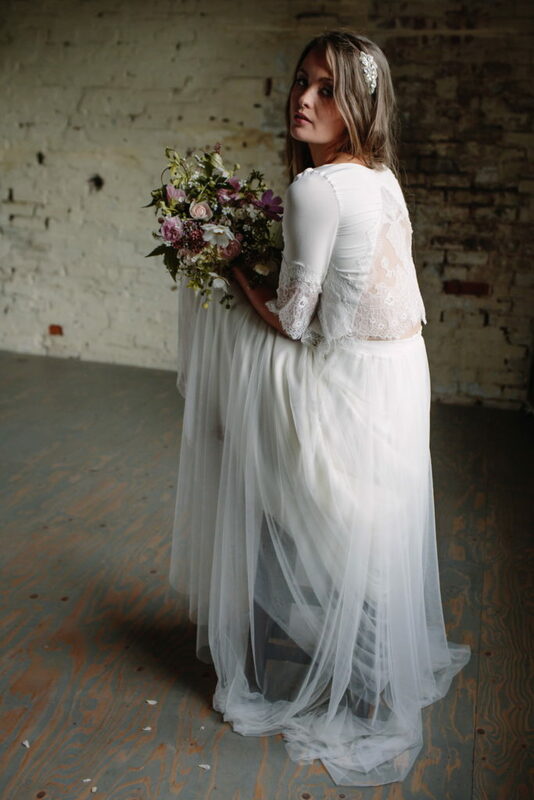 With a lifelong love of creativity and a passion for delicate fabrics and intricate embellishment techniques, I was filled with inspiration for ideas of wedding gowns when I was helping friends with the search for their dress. 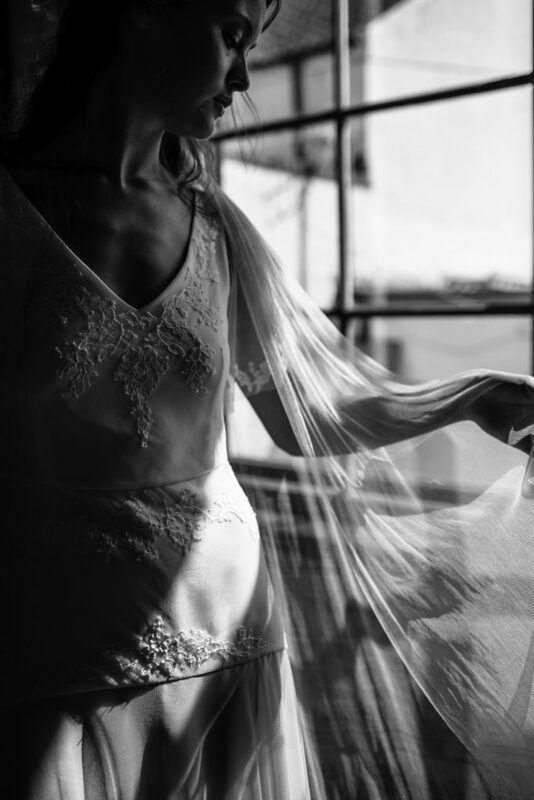 It occurred to me that wedding dresses can encompass my love of creating garments with soft, ethereal fabrics which drape and move with the breeze, together with delicate beaded details and hand embellished designs. I wanted to create these gowns and bring them to life! The seed was planted and with over 15 year experience working in fashion and expertise in sewing, pattern cutting, tailoring and fitting, I started my business with the aim to create exceptional dresses to cherish forever. 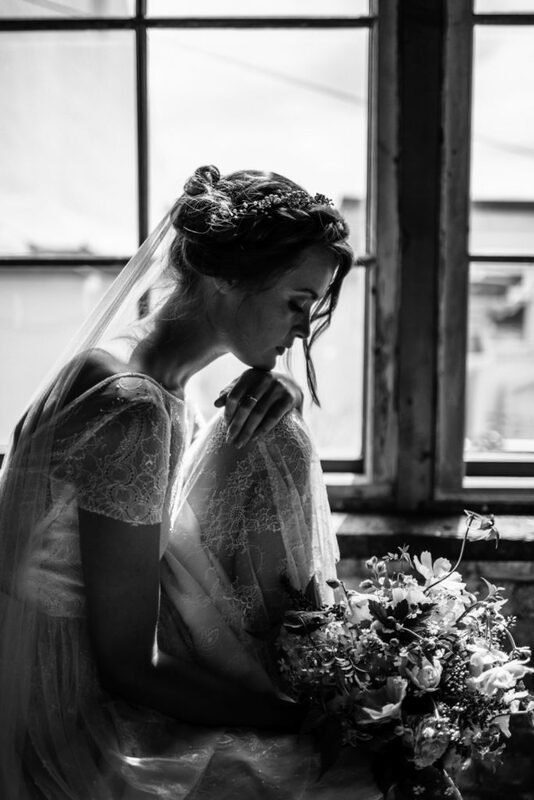 Working with brides to create their dream wedding dress is such a wonderful experience. 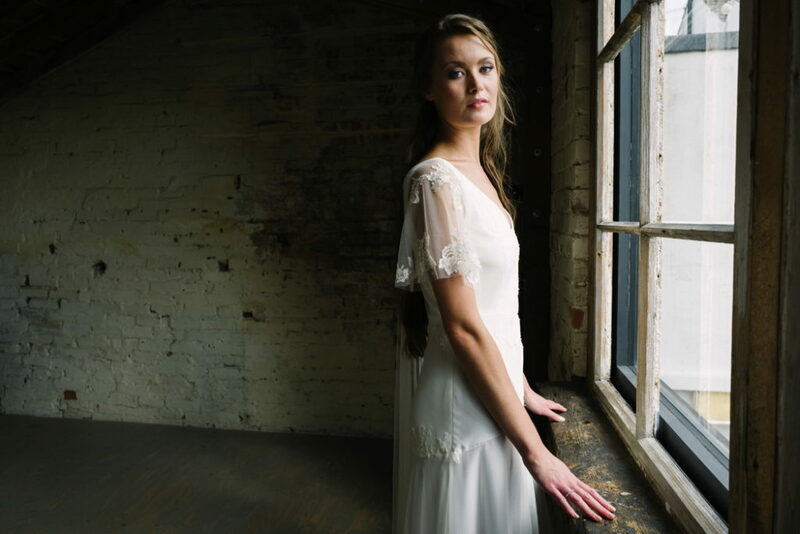 It gives me so much joy to see a bride standing in my studio looking so happy, wearing the dress I have created. I’ve always got a box of tissues to hand as there’s quite often a tear shed by the mums. 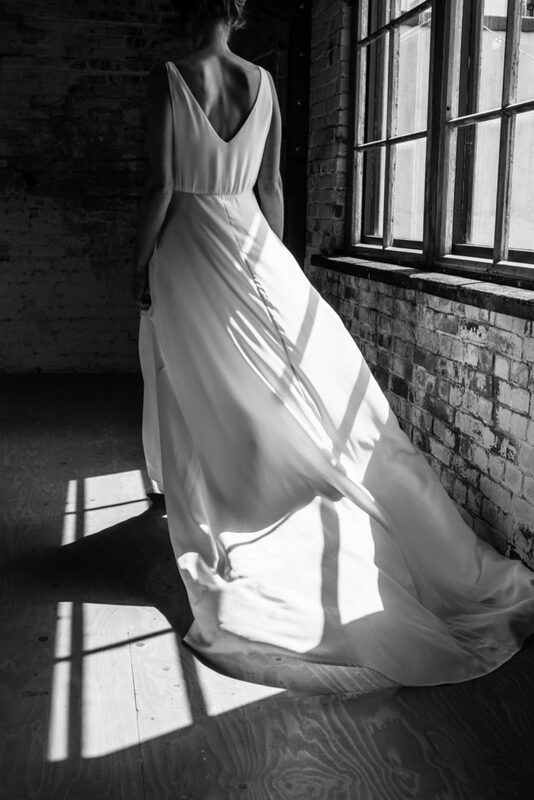 Made to Measure – For any dresses in the collection or pre-designed gowns are made to order to fit each bride’s measurements. Brides are able to try on a fit sample and I then make a note of adjustments to be made to make this to their measurements. These adjustments are then made to the dress pattern before making the dress, rather than alterations to an existing dress, giving a better quality finish. Prices for dresses in the collection range between £1,000 – £2,000. Made to Measure ‘Create’ – This follows the standard Made-to-Measure process above but allowing changes to the designs of any embellishments, i.e. if a customer wanted something unique and personal for the back train detail. This would be priced individually depending on design requests. 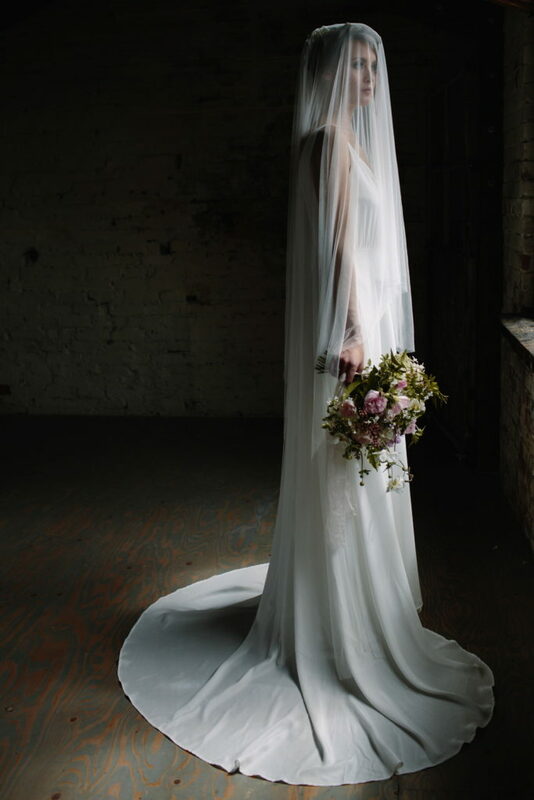 Bespoke – This is starting a new dress design from scratch, completely unique to each bride. It involves a series of fittings including mock ups of the dress to establish fit and style and then producing a finished garment in fabrics and details chosen and developed together with the customer. 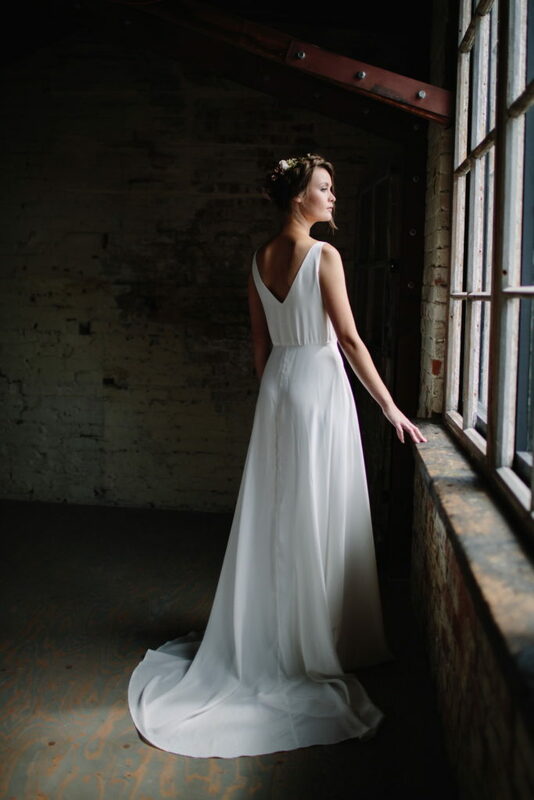 Prices start at £2,000 for a bespoke gown. 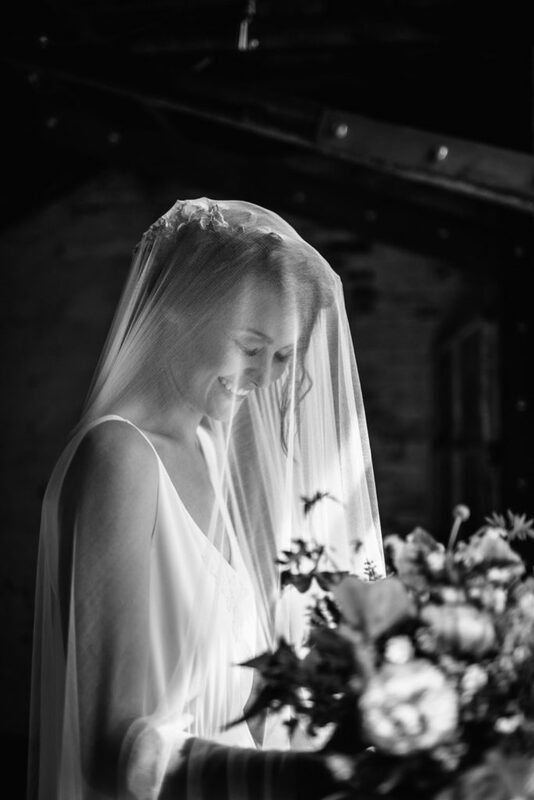 As I design and pattern make all of my dresses and all of the dresses are made in London, I am able to offer the flexibility of fit and design changes, to provide a dress that is personalised and tailored to each bride. 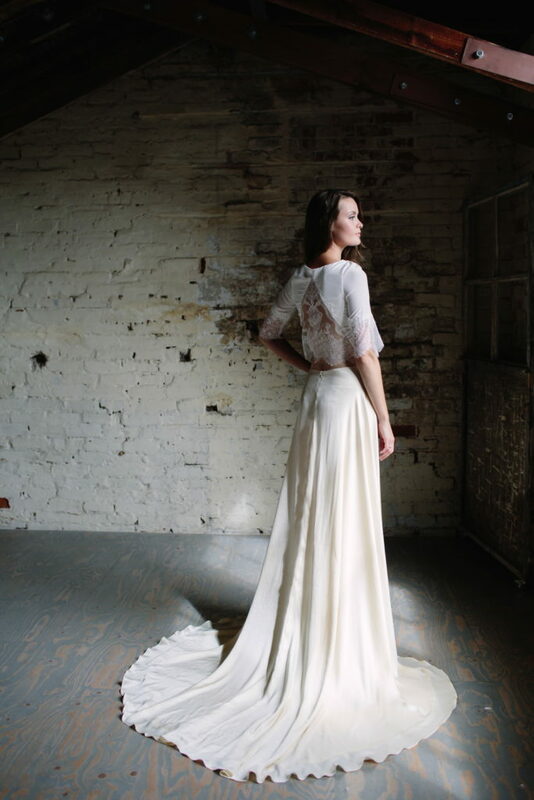 I want all of my brides to feel absolutely amazing in my dresses and also feel comfortable and at ease. 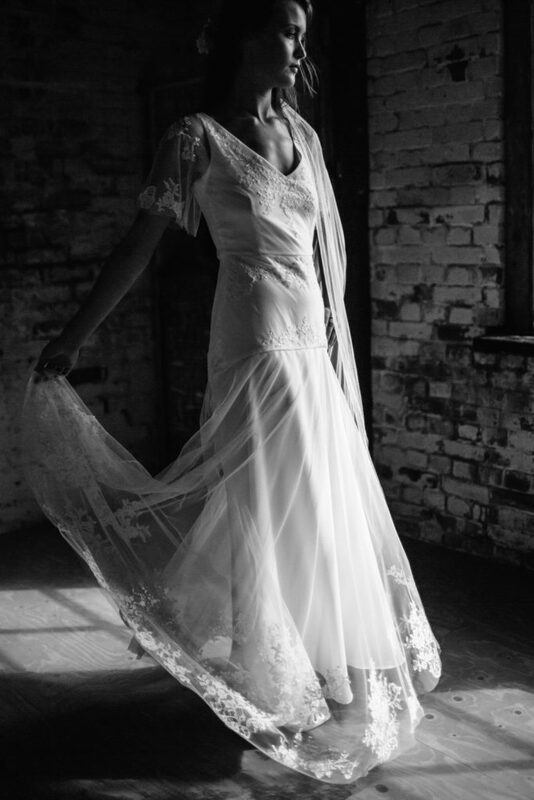 When searching for their wedding dress, I always recommend that brides choose something that they feel comfortable in, and most importantly feel themselves in. Whilst this is most likely the most special dress they’ll ever wear, their wedding day is also going to be one of the most incredible days of their lives and wearing a dress they doesn’t quite feel right is going to be a distraction. Your focus should be the wonderful memories of the day and not your dress niggles! 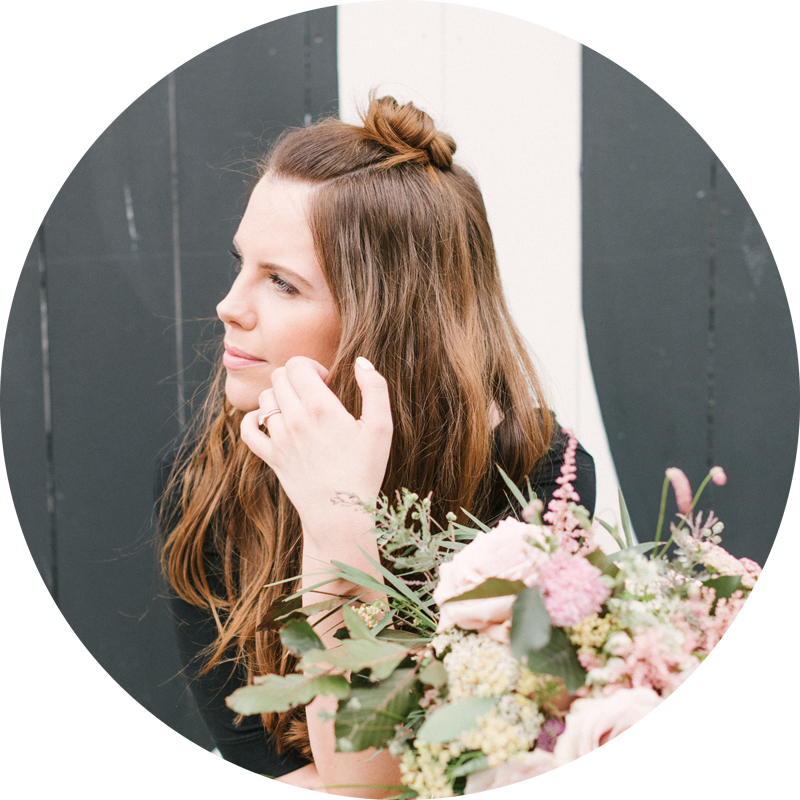 Whenever I work with a bride I try and get an idea of what their every day style is and what kind of clothes they feel most comfortable in, keeping this in mind when we’re working on a design together. You can contact Sienna Von Hildemar via email at sienna@siennavonhildemar.com or you can visit our website at www.siennavonhildemar.com. Explore our collections and inspiration on any of our social media channels, you can find us on Instagram, Facebook and Pinterest. With thanks to Model Charlotte Green. 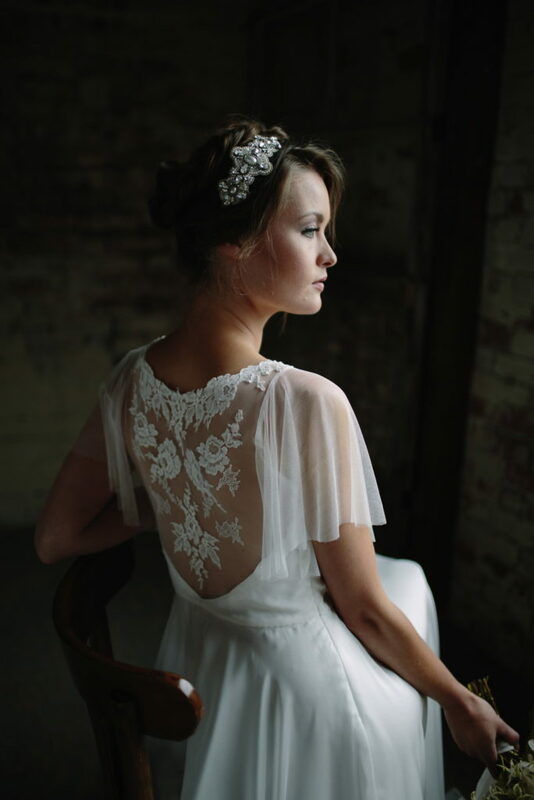 Sienna Von Hildemar would like to offer 10% off for our readers. This Offer is valid until midnight on 24th January 2018.